Facebook and Instagram have made giant leaps forward over the past 12 months with regards to developing their platforms for marketers. Facebook & Instagram have become serious rivals to the goliaths of the ad space Google; I’d even go as far to say that if Google doesn’t keep up, Facebook will become front-runners. As Facebook owns Instagram and you use one ad account to create ads for both platforms, I’ll be referring to both platforms as Facebook during the rest of this article. Facebook has been developing both ad platforms with marketers & users in mind, making it easier and more effective to reach your target audience while also keeping the platforms enjoyable places to be for the end users. 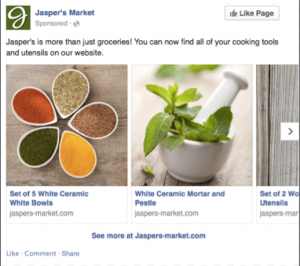 For these reasons, brands are pouring more and more money into Facebook & ads. Two of the great advantages of Facebook & Instagram ads is the targeting options, coupled with an array of ad types available such as video ads, multi-image ads, canvas ads, and dynamic products ads (DPA). This lethal combination is the reason why e-commerce retailers are beginning to shift more and more of their budget into Facebook & Instagram ads. 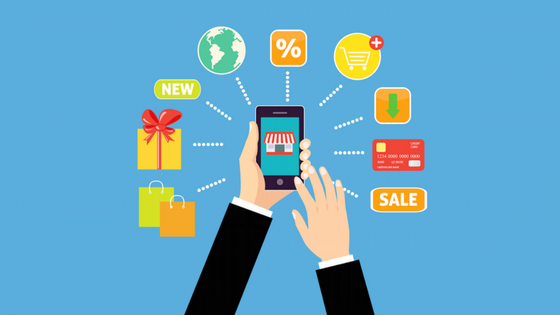 Why should e-commerce stores utilise Facebook & Instagram as a platform? Audience – Whether you sell soft furnishings, children’s clothes, or dog treats, your audience is on Facebook. They have7 billion monthly active users of which 1.5 billion are mobile users. And it’s still growing- Instagram has 800 million and counting! Let’s not forget that we live in a world where the attention we pay to our social feeds is huge. To have the ability to be where your target audience attention is is paramount! Facebook is great because it makes it extremely easy to do just that. 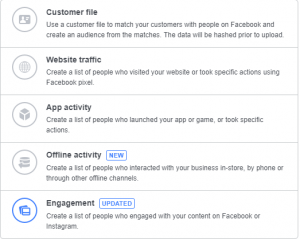 Targeting – Facebook has introduced a plethora of new targeting options over the last 12 months into their interest, behaviour, and demographic options. For example, there is the option to target luxury brand buyers, parents who have children 3-5 years old, even as specific as people who have clicked a Shop Now button on a Facebook ad. The ability to find your target audience on Facebook is constantly expanding, and E-commerce retailers can get even more value by utilising Facebook’s secret weapons- custom audiences and lookalike audiences. We’ll go into more detail about these later in the article. In short, Facebook gives you the ability to create audiences from your website traffic and other assets such as a customer emails lists. I’ll be breaking down each ad type relevant to E-commerce retailers later in this article and explain how best to utilise them. 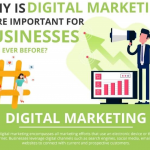 Cost vs other platforms like AdWords – While Facebook advertising is by no means new, it’s not got the history, and potentially the trust AdWords has as a platform, which again gives you the added advantage of getting far cheaper exposure to your target audience. To give you an example we often find that the cost to advertise on Facebook is around one-third of that on AdWords. Building your brand – Never has there been a platform which has made it so easy, and affordable to build your brand, heck Facebook even give you the ability to see how well your brand awareness is increasing via their reporting tool. 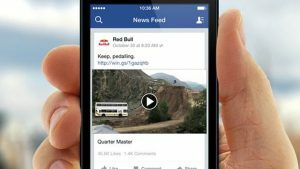 There is also the added factor that Facebook is aggressively trying to pull market share from YouTube and gives priority to video ads. We’ve been running these for several clients and are easily achieving £0.01 per video view! Where else could you get your brand in front of 100,000 targeted buyers for £100? That’s brand awareness on steroids! Interest targeting – This was the extent of the targeting options when Facebook initially started, alongside age, gender, and location. However, they have been working with many data mining companies to provide marketers lots more options. Facebook doesn’t group people via interests just because they like a page. People need to match several criteria for Facebook to confirm a person’s interest. These criteria include internet browsing history, chats within the Facebook platform, and other pages and posts that you interact with. This gives them a better understanding of your interest in a topic. As an example, one interest targeting option is “children’s clothing”. Facebook will check if a person is a parent and if they have liked other related pages such as Mothercare or Mama’s and Papas. It also checks if they interact with posts about parenting topics, have liked a relevant competition post, and even if they have spoken with their friends about children’s clothing via Facebook messenger. So, when selecting an interest as a targeting option, you can be sure that people who fall into that category do have a genuine interest in it. Custom Audiences – Facebook also allows you to create audiences from various sources. Once you have installed your Facebook pixel, you can create ‘custom audiences’ and are extremely powerful. See a list of custom audience options below. For example, you could create an audience of people that have visited your new product’s category in the last 30 days or as broad as anyone that have visited your website in the last 30 days. You can start getting a little savvier and show ads to people who have visited your website but not purchased with discount codes or other offers too! Lookalike audiences are great for helping scale your campaign or find more people that fit into a specific niche. As we mentioned before, Facebook has been actively working on making it easier for advertisers to showcase their products while making sure the newsfeed stays looking pretty. Below is a list of ad types to consider when running your Facebook ad campaigns. 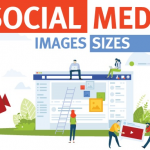 Single image ads – These ads, as the name suggests, are an ad format that utilises one rectangle image to display your product/s or maybe even the offer of a promo. See example below. 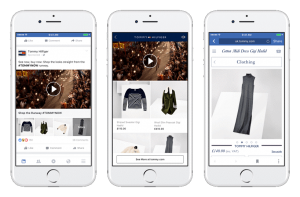 Collections – This ad type is perfect for online retailers to help showcase a full range of products all within the Facebook platform, before taking the user over to your website. Video ads – This ad type is one that you should be utilising as much as possible, especially to help build brand awareness. As we mentioned above Facebook is trying their best to pull people off YouTube and consume video content with Facebook, allowing people to achieve a cost per view of around £0.01. 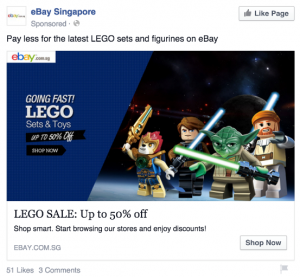 How do you super-charge your e-commerce store with Dynamic Product Ads? If you run an e-commerce store, then these ads are what are really going to make the difference. They work in a similar way to Googles’ shopping ads, in the sense that they run on a shopping feed/CSV file. The reason these ads are so powerful is that they run entirely via remarketing audiences and allow you to get very granular if you have set-up your Facebook pixel with the correct events. One example would be to retarget a visitor that has viewed an item but didn’t purchase it, and serve them an ad for the exact item they viewed. You can get even more granular and choose to retarget people who have viewed an item, added it to the shopping cart, but not purchased within the last 30 days. As you can imagine, having ads that are so personalised to the individual shopper makes the world of difference to them and your sales. I hope this article has helped to highlight how vital Facebook & Instagram ads can be to drive sales for e-commerce sites, and the opportunity these platforms provide to get in front of new customers. Whilst all the above strategies and advice are great; it only works if you implement it into your business and make the conscious effort to test and optimise, something which not all e-commerce owners can do.